A precision-trained military dog, Max serves on the frontlines in Afghanistan alongside his handler, U.S. Marine Kyle Wincott. But when things go terribly wrong on maneuvers, Kyle is mortally wounded and Max, traumatized by the loss of his best friend, is unable to remain in service. Shipped stateside, the only human he seems willing to connect with is Kyle's teenage brother, Justin, so Max is adopted by Kyle's family, essentially saving his life. But Justin has issues of his own, such as living up to his father's expectations for him; he isn't interested in taking responsibility for his brother's troubled dog. 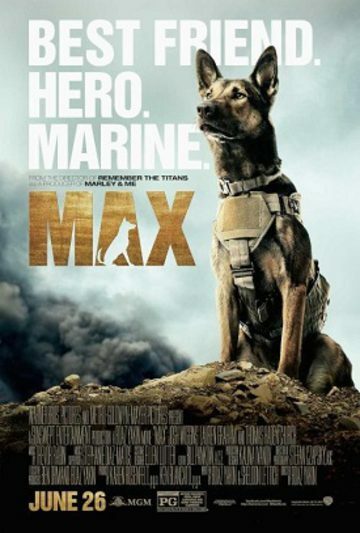 However, Max may be Justin's only chance to discover what really happened to his brother that day on the front, and with the help of a tough-talking young teen, Carmen, who has a way with dogs, Justin begins to appreciate his canine companion. Justin's growing trust in Max helps the four-legged veteran revert back to his heroic self, and as the pair race against time to unravel the mystery, they find more excitement - and danger - than they bargained for. But they each might also find an unlikely new best friend ... in each other.